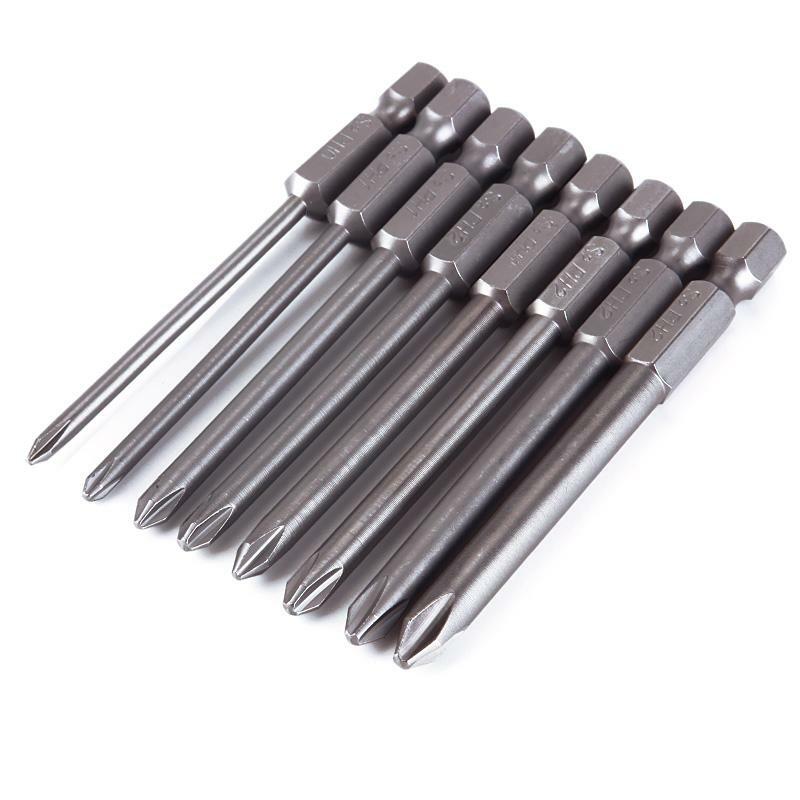 Magnetic bits can be firmly fixed on screwdrivers. 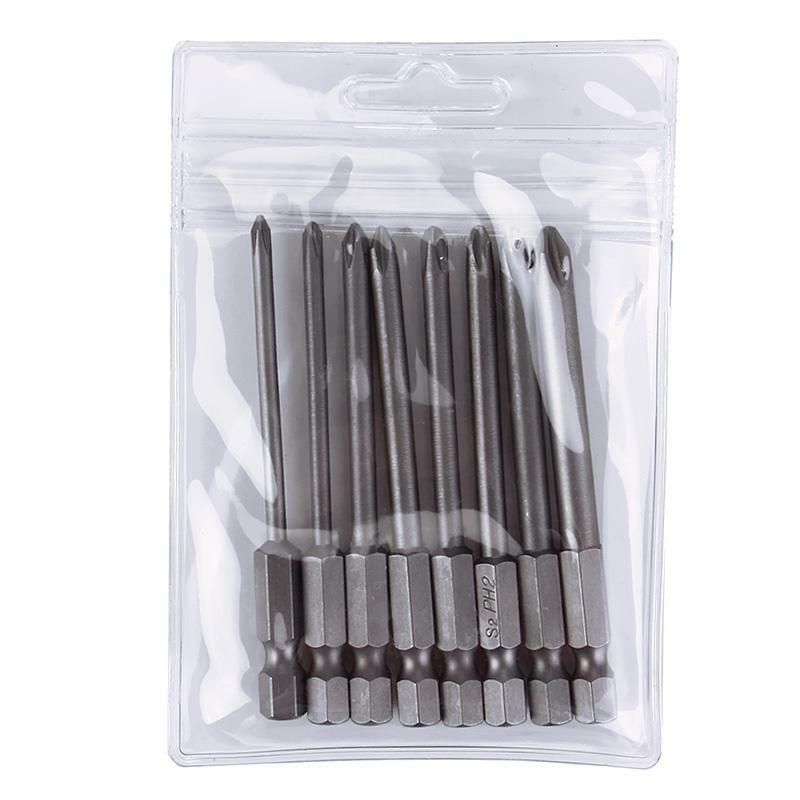 Those bits fit for electric screwdrivers, hand screwdrivers, electric drills, air drills and so forth. 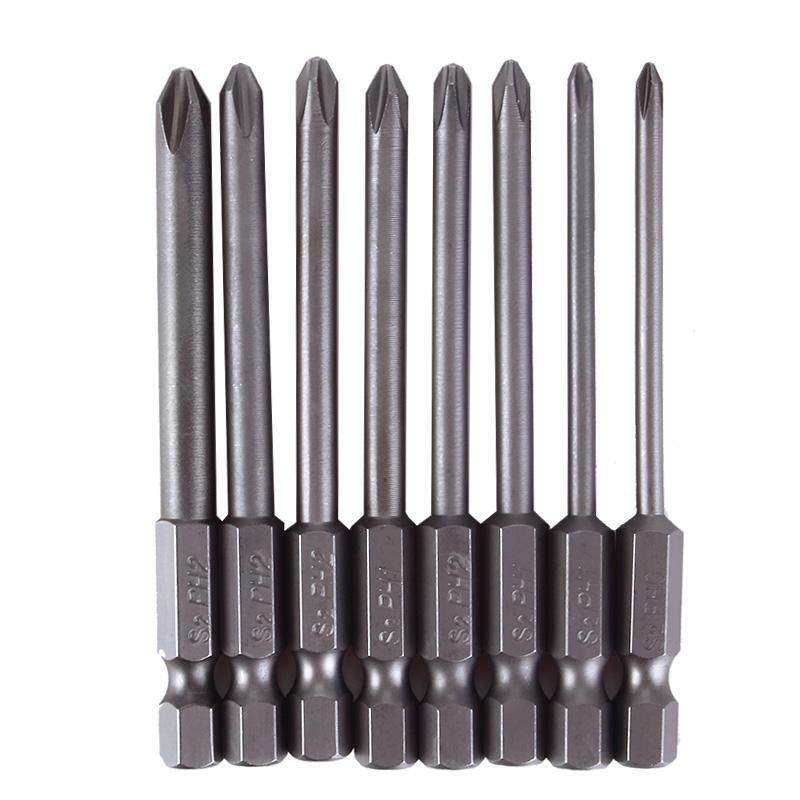 Those Long Cross Screwdriver Bits are made of S2 alloy steel which is a commonly used material in hardware with high hardness. Type of Head: cross / phillips. 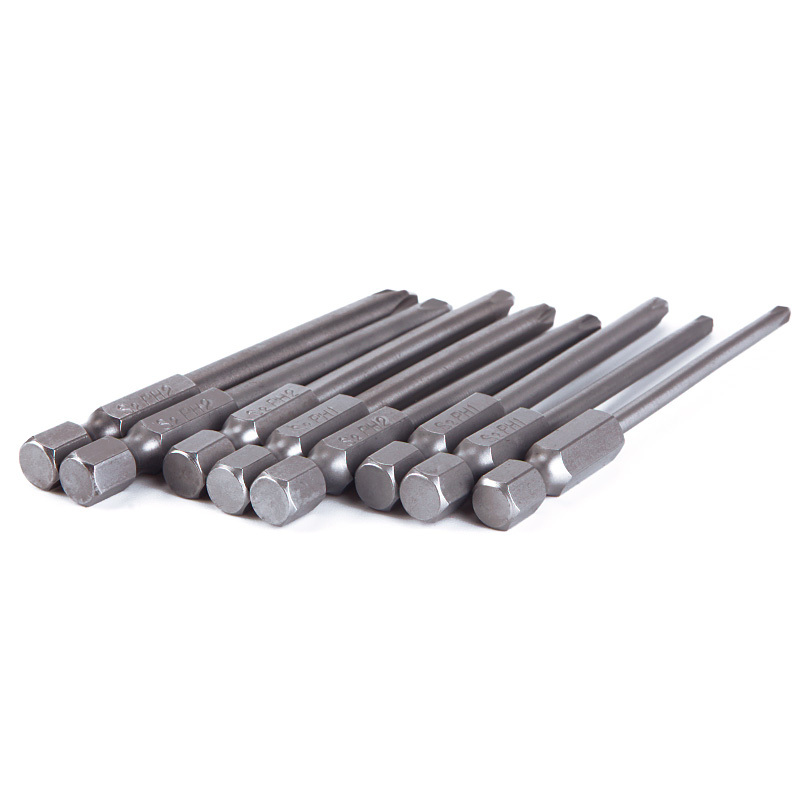 Type of Shank: 6.35mm / 1/4 inch hex. PH0 is suitable for small appliances and precision apparatuses. PH1 is suitable for major and small appliances. 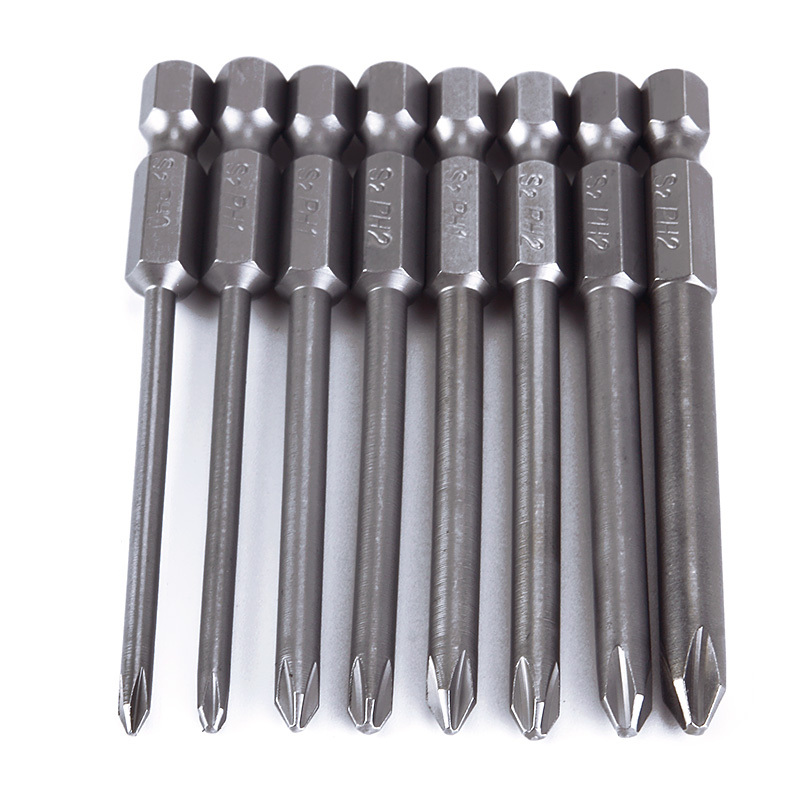 Do not turn the screws with unmatched size in case get both screw and bit damaged.